An industry leading provider of underwater lighting equipment, Master-Lee Engineered Products, Inc. supplies a variety of custom engineered lighting products for the most demanding of working environments. Please select from one of our products below to learn more about a viable solution on your next project. Putting out up to 110,000 lumens of light either under water or in open air environments, the Apollo 100K™ is one of the brightest lights across our product line. The Apollo 100K™ has been designed to operate across numerous industrial applications, such as: commercial nuclear power, marine, sub-sea, transportation, construction, etc. 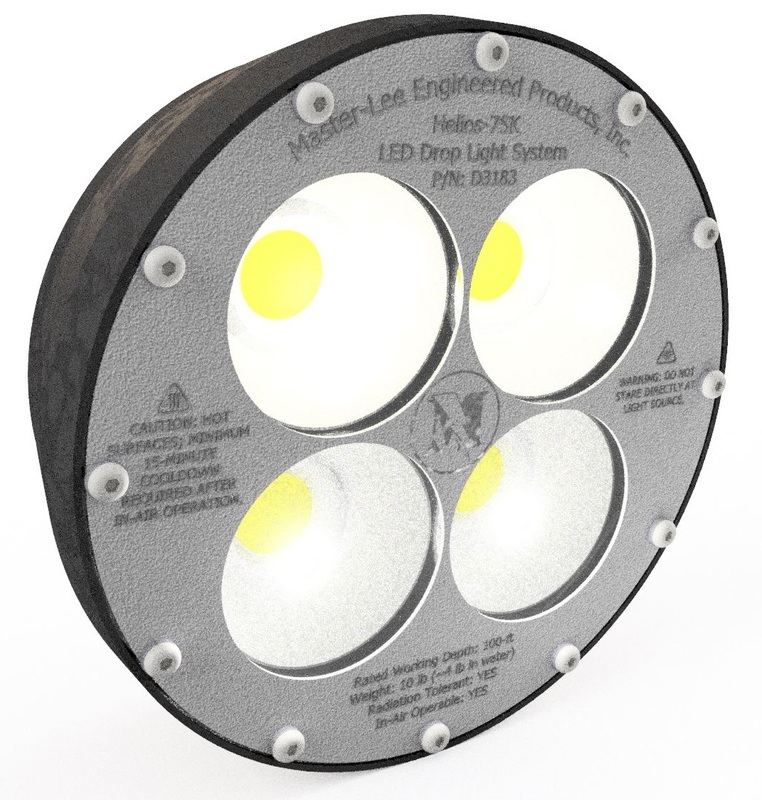 Master-Lee would like to introduce our brightest, most powerful radiation-tolerant LED flood light across our product line, the Helios 100K™. Versatility was the core design trait with focus on efficient operability submerged in water as well as in open air environments. The Helios 100K™ Core Lighting System is the ultimate method of simply and brightly illuminating an entire reactor core. The newest addition to our LED lighting product line, the Helios 75K™ CoreLite is the most powerful radiation-tolerant core plate light available. Versatility was the core design trait with focus on efficient operability submerged in water as well as in open air environments. The Helios 75K™ CoreLite System is the ultimate method of simply and brightly illuminating an entire reactor core. The newest addition to our LED lighting product line, the Helios 75K™ Drop Floodlight is the most powerful radiation-tolerant "drop-style" light available. 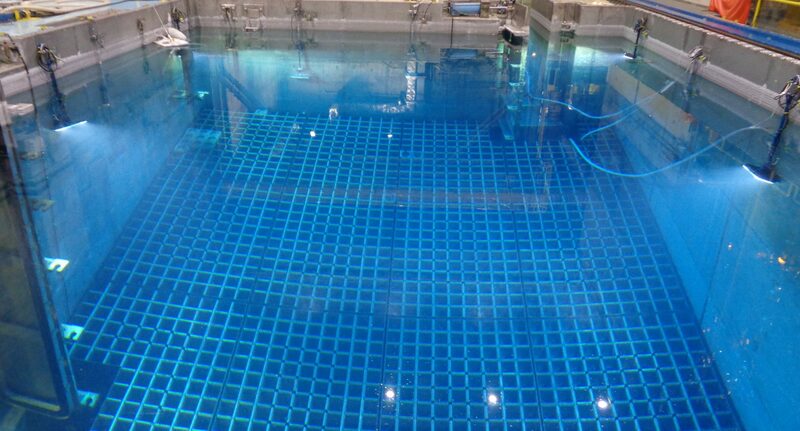 Versatility was the core design trait with focus on efficient operability submerged in water as well as in open air environments. The Helios 75K™ Lighting System is the ultimate method of simply and brightly illuminating an entire reactor core. The LED PenciLite™ is a durable, long-lasting drop light that provides up to 20,000 lumens from high-powered LED lighting components to illuminate your underwater work environment. Durable, reliable, and extremely bright (42,000 lumens with 4000K color temperature) - best describes the EPI LED Area Drop Light. 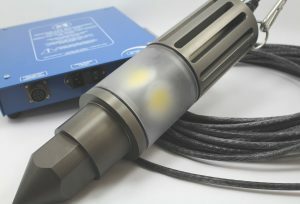 The perfect solution to your underwater and general area lighting needs. The PenciLite™ is a durable drop light that provides more than 10,450 lumens from one 500 watt, GFCI, water-cooled, quartz-halogen bulb. 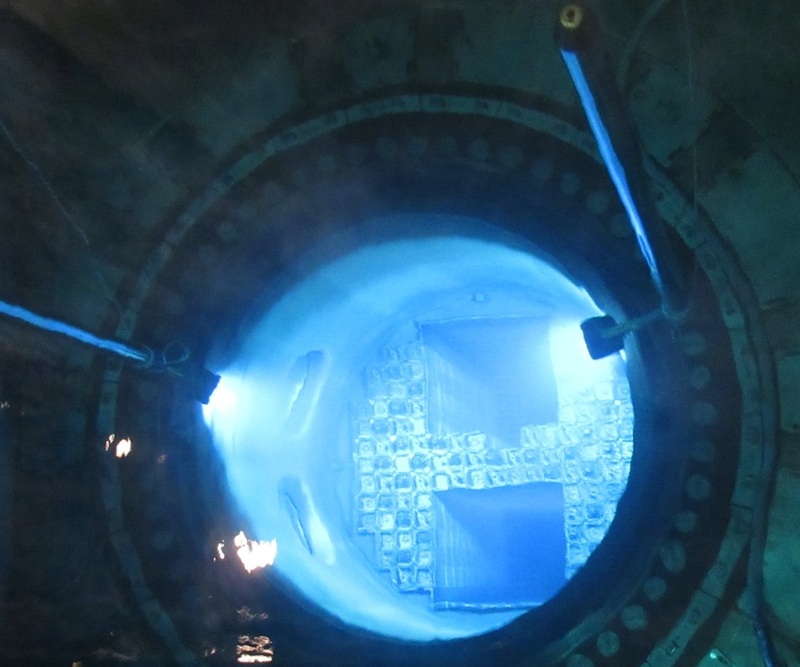 The Area Drop Light (GFI)is commonly used throughout the commercial nuclear power industry for refueling core, cavity, and spent fuel pool temporary lighting, or wherever localized underwater illumination is needed. Supplying 54,000 lumens, the high-powered 2,000 watt quartz-halogen bulb is sure to brighten your underwater environment. An upgrade from our standard Area Drop Light, this item is compatible with GFI (Ground Fault Interupter) circuits.